Next stop for the Tekken World Tour is the third Abuget Cup, #AbugetCup2017 in Indonesia. 29-30th July. Where some of the finest Tekken players from both east & south east Asia region will compete at this TWT Challenger tier Event. Players such as Knee, Saint, Tanukana, Pekosu, AK, Book, and many more. 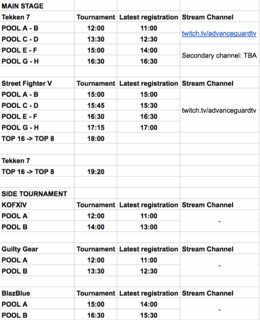 We have the stream link, bracket, schedule right here.